The re-release of the at that time revolutionary 2003 “Kampf” has unveiled the story of one of the most innovative bands in the Black Metal field, trespassing on the electro and apocalyptic field. 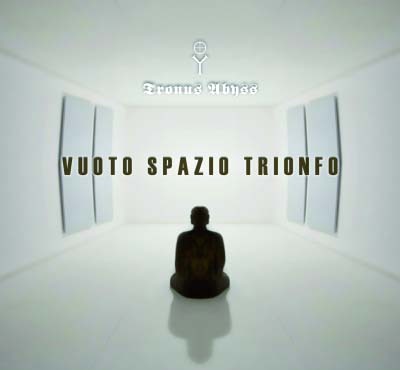 After 5 years it’s time to give a new sign of communication and “Vuoto, Spazio, Trionfo” is a challenging and magnificent merging of noise /ambient / apocalyptic soundscapes and Black Metal de-fragmented memories. Not like the many wannabe pseudo-experimental acts TA sets new standard thanks to many years of electronic shaping of their sound and the very inner core of visionary Black metal. Starting from the rusty songs of the album to the more liquid and open atmospheres TA won the challenge of doing experimental and personal music in spite of the today tendency to follow the rules and market standards. This is because they’re a manifestation of the spirit, this cd will drive to madness those into Spektr, Darkspace because will show a further step of evolution, in some way recalling the madness of the Arcturus’ experimental face.